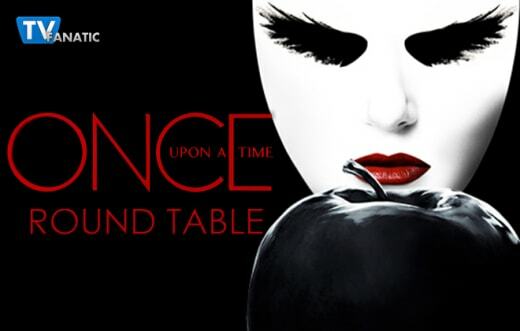 Storybrooke was the home to not just one but two Dark Ones last Sunday, while Zelena had her baby early and Ruby and Mulan returned on Once Upon a Time Season 5 Episode 8 and Once Upon a Time Season 5 Episode 9. Were you happy to see Ruby and Mulan return and would you like either of them around full time? Allison: I really do love their characters, but unless they have something entertaining and useful to do, I don't mind that they aren't around full time. Ruby's excuse for leaving Storybrooke made sense. She didn't have a place there, and honestly she didn't have a purpose in the storylines. The same goes with Mulan. I would rather have characters I love pop up randomly and briefly than have them be useless and see them all the time. Robin: I agree with Allison. I was happy to see Ruby, as she was one of my favorite recurring characters in the first couple of seasons. I enjoy seeing Mulan every once in a while. I'm not itching to see any of them full time though. Teresa: It was great to see both characters return; especially Ruby, who has been beloved by fans since Season One. I would love to see her become a regular again. Mulan I think is a strong character, but I'm fine with her recurring status. Christine L: I was SO happy to see Ruby. I’ve missed her so much. I’d love to see her come back on a regular basis, mostly because the actress is so great, and I miss her scenes with Granny and Emma. Mulan, eh. I didn’t love it or hate it. I wasn’t opposed to her being there and she had a good tie in to Merida, but it’s still not a story I’d find myself invested in regularly. Amanda: While I loved Ruby during Once Upon a Time Season 1, I can't say I've been itching to see her. Same goes for Mulan. While their characters are interesting and fun to watch, I don't think this show needs any more series regulars. The cast is overpopulated as is. Should Emma have let Hook die? Allison: I vote no because, like Emma, I'm a little selfish and I want Killian to stay around. Emma was definitely thinking more about herself than what Killian actually wanted, but it's really hard to fault someone for wanting the other person to live. Robin: Goodness, what a hard question. To be fair, letting him die would have been the right thing to do, rather than saving him by making him an evil entity. He confessed how hard it was for him to fight his own darkness, and he didn't want this. That said, I wouldn't have wanted Hook to die either. Teresa: Objectively speaking, I think she should have let him die. Saving his life by messing with the very essence of his soul, without his free consent, will likely have dire consequences for both. However, Emma has the trauma of abruptly losing two loves already: Graham and Neal. It makes sense that she would go to extremes to save Killian. Christine L: Because of how much I love Hook, I say no. But is that what Killian would have wanted her to do, absolutely. It’s good to finally have confirmation though that Emma has been in control the whole time, and that even while fighting the Darkness she’s still driven by love. Amanda: While letting Killian die would have been the right thing, Emma couldn't let go of her love of him. Emma had watched Graham and Neal die, so I think she selfishly did whatever it took to keep Killian alive. From an audience member's perspective, I'm glad she did save him because I would hate to see his character go. What do you think of the twist that Hook is a fellow Dark One? Allison: I really liked it. It made sense that saving someone she loved was what pushed Emma over into the darkness completely. I am really curious to see what kind of Dark One he is, and what this will do for Emma and the town of Storybrooke. Robin: I did not remotely see that coming, not even slightly. That was way up there with Pan being Rumple's dad – fantastic twist. I can't even imagine how this is going to play out. It's obvious that Emma's been able to hold on to at least a little bit of herself, because she was never nothing. Hook, on the other hand, found his humanity in Emma, and this betrayal compounded with being a Dark One is just going to spell disaster. Teresa: I was also completely taken by surprise, but it is the perfect twist for Hook. He will now find out first-hand what it's like to be "The Crocodile" and the hell of being possessed. There is fantastic potential for his character's growth. Christine L: Is it possible to hate and love something at the same time? I think it’s a fun twist with a lot of possibility, but that it could easily go sour. I don’t want to see Killian get lost in the Dark magic. I also wouldn’t really be into an Emma/Killian Bonnie and Clyde thing. Amanda: I'm with you Christine! I loved this twist because it will be interesting to see how Hook grapples with his dark side. However, I hate what this will do to his relationship with Emma. I don't get the sense that he will want to work with Emma. I think turning him into a Dark One will destroy his love for her. Name Zelena and Robin’s baby. Allison: I don't know. It depends on if Zelena is involved in naming the baby. If Zelena names the child, I really hope she actually picks something cute. 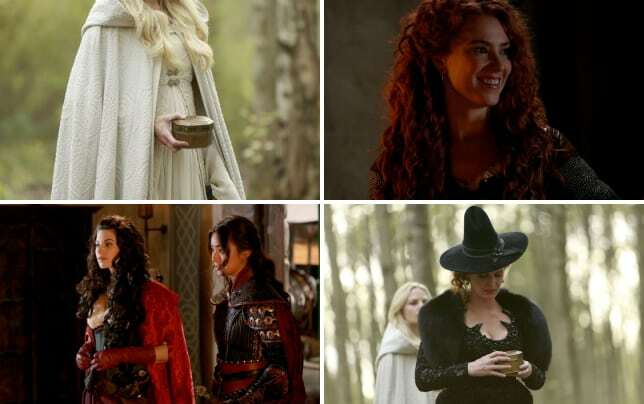 Part of me wants to suggest Marian, but I feel like that could also be super awkward to name the child after the woman you killed (for Zelena) and your wife (Robin). Robin: I am absolutely terrible at assigning proper nouns to people, things, pets, etc. All I know is that poor, innocent child deserves a good name, given the circumstances she was born into. Teresa: I'm inclined towards a name that has no connection to a living or deceased character on the show. The girl is going to have enough issues without having the extra pressure of living up to a name. Christine L.: Okay, I spend a good 15 minutes of research on this question (don’t laugh at me! ), and I came up with Zorah, which means “soft and substantial.” I thought it was great because it also combines the names of the baby’s female ancestors, both of whom where not soft, so it’s almost like this little girl is substantial hope to break the evil chain of her ancestors. Amanda: I don't know. I still hate this story line, so I haven't given the matter much thought. Was their anything in “Birth” or “The Bear King” that disappointed you? Allison: "The Bear King" in itself was a disappointment. "Birth" gave us so many answers, and it ended on this huge reveal that Killian was a Dark One. And then we went and followed Merida around...After that insane first hour, all I wanted to do was stay in Storybrooke. I really just did not care for "The Bear King." Robin: YES, Allison. I was disappointed by the very existence of that episode. 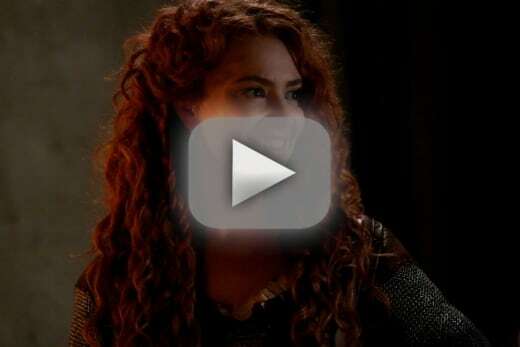 How do you end the previous episode on the "Hook is A Dark One" crazy twist, and go into an unrelated backstory for Merida? That was terrible episode sequencing, and I didn't care even slightly about Merida after what we experienced in Storybrooke. Teresa: Like Allison and Robin, the disjointed nature of the two episodes was a let down. I thought it would be more like the two-hour event last year when the events flowed into each other. I was also disappointed that neither hour featured Mr. Gold. For me, his long absences stagnate the over-all energy of the show. Christine L.: Basically, the entire second hour. They came off of this incredible first episode, and then completely dropped everything going into the second. The Mulan/Brave crossover movie for Disney wouldn’t get me to spend $13 to see it in theaters. Amanda: Yep, that second hour was a total bore. They would have been better off reversing the episodes or waiting a week to show The Bear King. What was your favorite quote or scene from the two hours? Allison: I loved Killian telling Emma about all the different rings he has, and the stories that go with them. He reminded her that he's battled the darkness too, and if he can beat it, so can Emma. As soon as Emma learned what ring it was that Killian gave her in Camelot, she tried to give it back. She may be the Dark One, but she's still Emma. Robin: The scene where Emma started fusing the dagger to Excalibur and Hook started dying will probably never leave my brain. My goodness, those two were soooo fantastic in that scene. I had chills the entire time. Teresa: Dr. Whale's return in the birth scene. I was in stitches and it had a classic "Once" feel that lifted the spirits. Christine L: Bringing back Whale and his little dig about the bleached hair. I laughed out loud. It was such a good throwaway gag. Also the scene where Killian discovered that he was Dark… I shed actual tears. That was such a moving moment, the entire sequence of Emma’s desperation right though to his discovery. Can we just hand Jennifer Morrison awards for what she’s done with Emma this season? Amanda: Definitely the scene where Emma saves Hook. Like Robin, I got some serious chills. It was also an important moment to showcase that the darkness growing inside Emma wouldn't be able to stop her love for Killian. 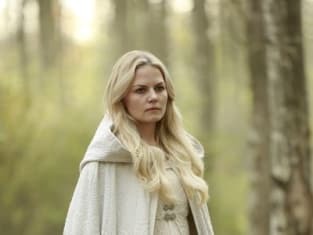 Check back in on Sunday, November 29 for our review of Once Upon a Time Season 5 Episode 10 and if you need more magic now, you can watch Once Upon a Time online here at TV Fanatic. Emma: What are they now? Hook: A reminder that all sins can be forgiven when someone loves you and I was absolutely wrong before. I love you Emma Swann, no matter what you've done. He's a king with no kingdom. As much as he hates it, he's not important anymore. Permalink: He's a king with no kingdom. As much as he hates it, he's not important anymore.